Cordoba is in very bad form and they will need a strike of luck to get anything out of this game which i doubt. 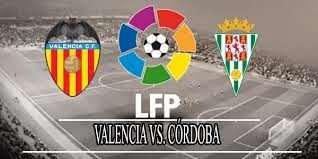 Valencia is getting the wins, they consolidated their defense and are rotating the strikers for better performance. As i mentioned before, they are both lucky and unlucky to have been reduced to only one competition with 20 players able to perform on a high level. They should get a win here easily but i will like to get my stake back in case the game should result to draw.